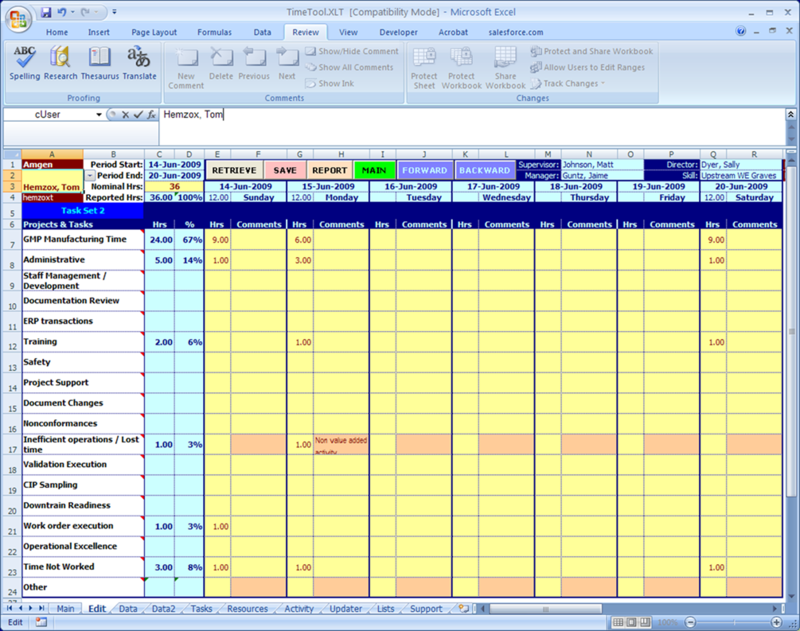 The TimeTool is designed to operate as a stand alone program or in tandem with the EPD (Engineering Project Database). The concept is simple. Provide all employees in a workgroup the ability to report on the allocation of their time on a weekly or monthly basis. The software automatically recognizes the user from the Windows network login, and presents the user with a summary screen of their recent activities. The master copy of the TimeTool is an XLT file (Template). When a user double clicks on it, or accesses it through a shortcut on their desktop, a copy of the XLT is opened for the user. The user is recognized by his login and his data is automatically presented to him(or her). ● TimeTool subscribes to the standard AutoSoft color protocols. A yellow cell with a red font is designated for user input. ● True Multi-user; many users can simultaneously enter data. ● Optional explanatory comments for each entry. 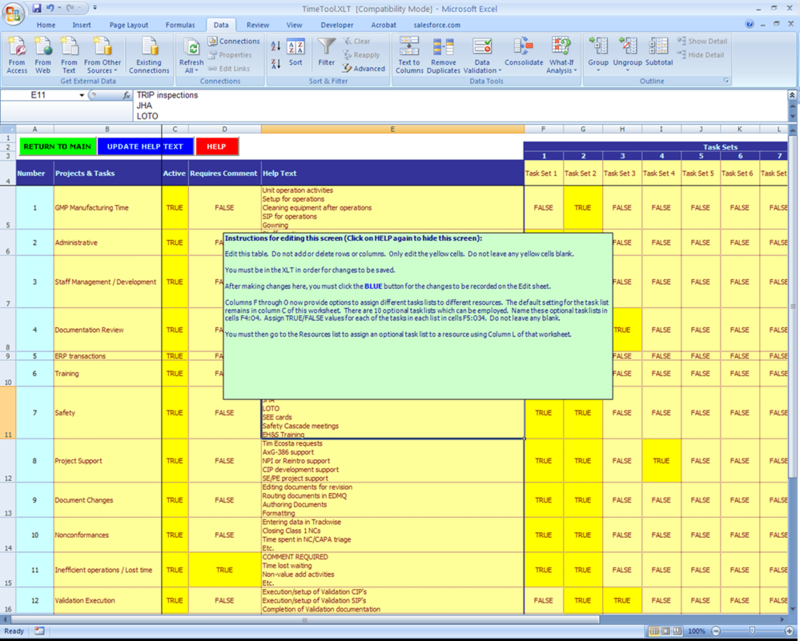 ● Vanilla Microsoft Excel/VBA platform, no other licensing or third party software. ● Multiple levels of security. Individuals can see only their input. Supervisors can see their work group. Managers can see their Supervisors and multiple work groups. ● Different group of people can be assigned different task lists. Up to 30 different tasks can be listed. ● Automatic backups and archiving of data. ● If integrated with the EPD, estimates and actual times are presented side by side. ● Source code is included and accessible, allowing for easy site customization.